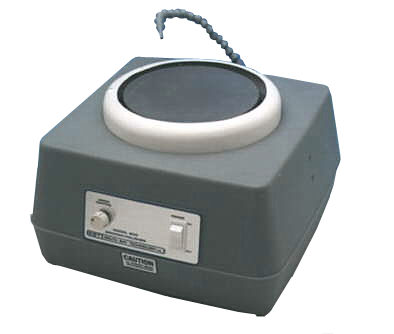 The lightweight 8” Grinding/Polishing Wheel is ideal for surface preparation of small metallographic specimens. The Model 900 is a variable speed unit with an operating range of 0 - 1725 RPM. This flexibility allows for high speed rough grinding and low speed final polishing. The Model 900 is designed for long life. It’s molded plastic housing will never rust, and the 1/3 HP, fully grounded motor with electronic speed control is designed for regular laboratory use.